We decided to make a couple upgrades to our land cruiser 12v dual battery electrical system. There are all kinds of pros and cons to different batteries, chargers, etc. I am confident this will meet all of our power needs without having to worry about killing a battery or loosing power while we are remote camping. There is tons of misinformation out there on this topic. I am no expert and am always learning but have a pretty good handle on this stuff. There is at least one well respected very well known individual that occasionally talks about this stuff and while much of what he says is accurate key points are just plain false. Do your research, ask questions, and consider the source. I still haven't installed everything yet but have at least tried it all out and things are working well. Here are links to the new equipment we are adding. Check out our dual battery videos/posts for links to all the rest. When we first got our 100 series Land Cruiser I didn't quite understand the 4 wheel drive system. I was used to standard 4wd that I had in pickups but the Cruiser was different. It took me a little time and research to really understand the hundy's system. I had someone ask me to break this down in a video and I have that in the works but in the meantime I thought I would write this up. Before we go to far it is important to understand what a differential is and how it works. A differential is a set of gears in the center of an axle that allow each axle half to rotate at different speeds. When a vehicle goes around a corner the inside wheel rotates slower than the outside wheel. A differential allows this otherwise one tire would end up dragging. It is also important to note that a differential will provide up to 100% of the power to the wheel with the least resistance so if one wheel is spinning the other wheel won't turn at all. A locker provides the ability to lock the differential so both wheels turn at the same speed. This allows you to overcome the problem of one wheel loosing traction as mentioned above. A limited slip differential uses an internal mechanism like a clutch to essentially lock the differential automatically when slipping occurs. A standard 4 wheel drive system like my Tacoma's have two differentials. One in the front and one in the rear. When in two wheel drive all the power goes through the rear differential. When in 4 wheel drive the transfer case connects the front and rear differentials providing a 50/50 split of power to the two differentials. 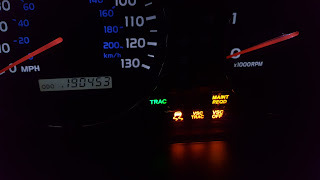 When in four wheel drive the front and rear differentials are locked together and must rotate at the same speeds so it is not safe to operate in 4wd while on a hard surface. In an all wheel drive vehicle the transfer case is also a differential and can vary the amount of power to the front and rear. This allows the vehicle to have torque at all four wheels even on hard surfaces since the 3 differentials can vary the power to all 4 wheels. The 100 series Land Cruiser is an all wheel drive vehicle that allows you to lock the center differential. Once locked the Land Cruiser's center differential is locked it is in true 4 wheel drive just like the Tacoma mentioned above. 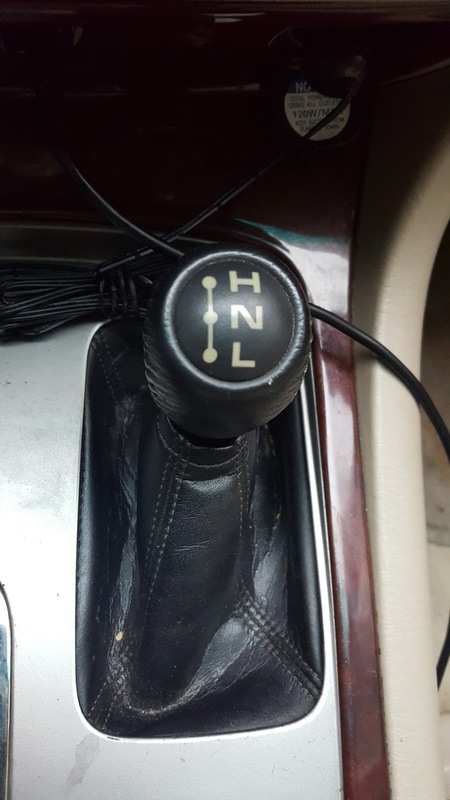 Many AWD SUVs do not have the ability to lock the center diff. Some early 100s had a rear locker as well. Newer models have ATRAC mentioned below. 4 High allows you to drive at speed but you should probably not be going very fast. Let's say under 50 mph. 4 high is generally good for slippery conditions when additional traction is needed like in snow, ice, muddy roads, rocky roads, etc. 4 Low provides significantly more torque through gearing. This can only be used at very low speeds under 25 mph. The gearing will top out the vehicle very quickly. Imagine being on a mountain bike in the lowest gear, you spin the pedals very fast and get up the hill easy but can't go very fast, same mechanical concept. I use 4 low whenever I am going very slow on slippery surfaces, very steep terrain, deep snow, thick mud, sand, deep water, etc. 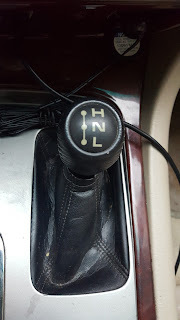 I especially like using lower transmission gears (1 or 2) in 4 low when declining very steep hills and let the vehicle crawl down the hill without the need to do much braking. 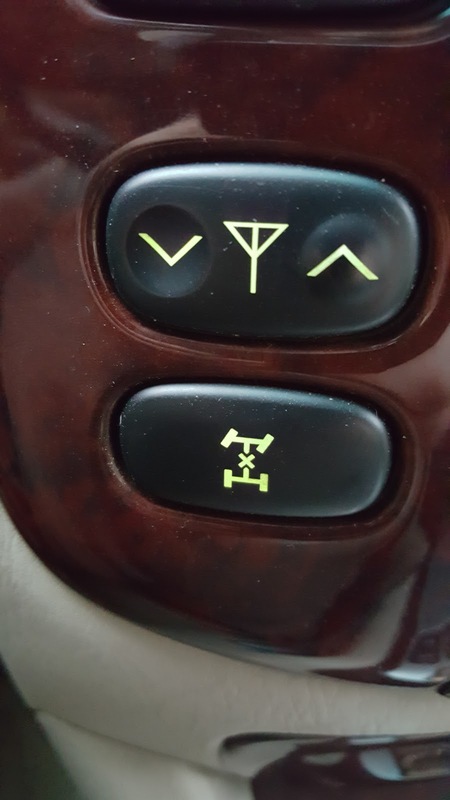 A unique feature in the Land Cruiser is the "PWR" button. 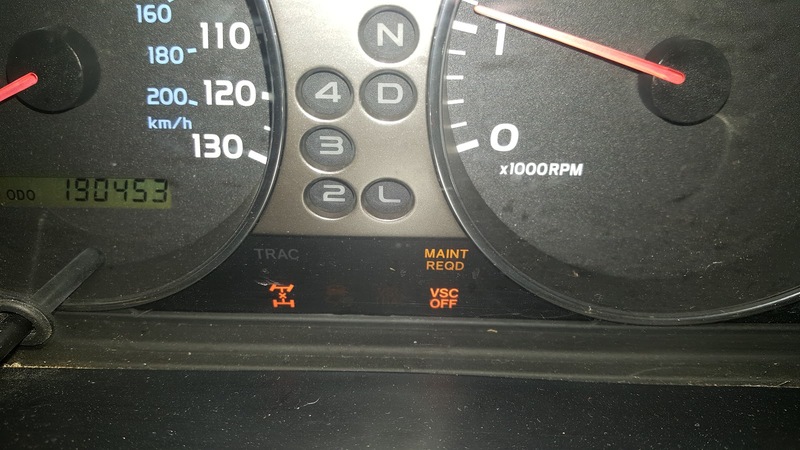 In this mode the transmission shifts at higher RPMs. It keeps the vehicle from shifting up and down on steep hills and when towing. Some people like it for performance but it will cost you in MPG! 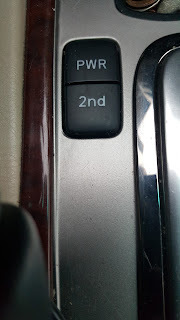 Another unique feature of the Land Cruiser is the "2nd" button. 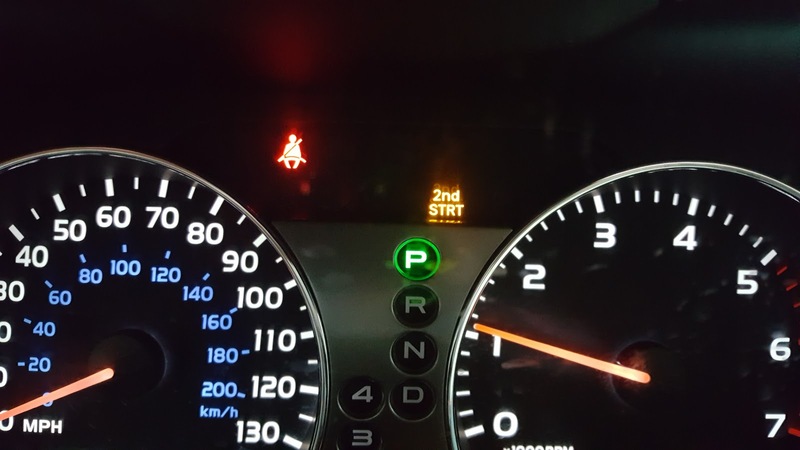 This has the vehicle start in 2nd gear. The 100s first gear is especially torquey especially in the 5 speed. This can cause spinning very easily in extremely slippery conditions. 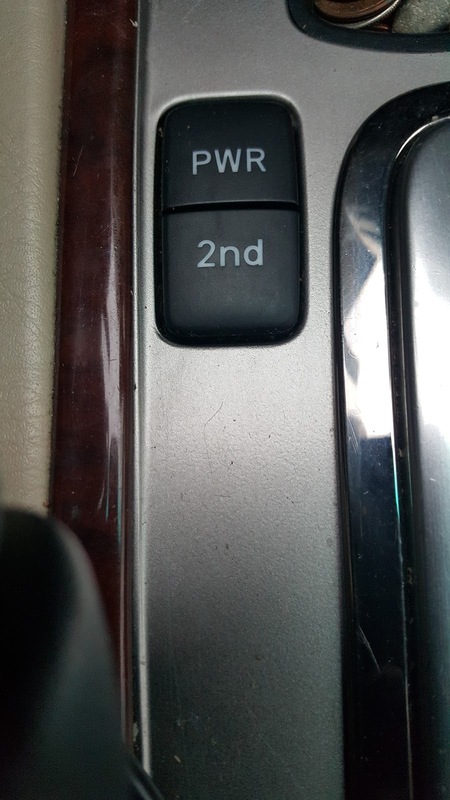 Use the second button when it's extremely slippery and spinning is an issue like ice, sand, etc. 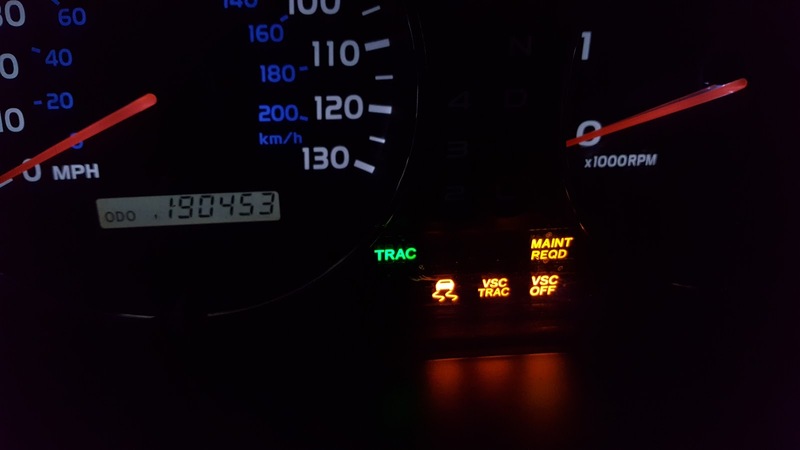 Newer 100 series have ATRAC or advanced traction control. This system recognizes wheel spin and brakes the spinning wheel to allow the differential to send power to the wheel with grip. 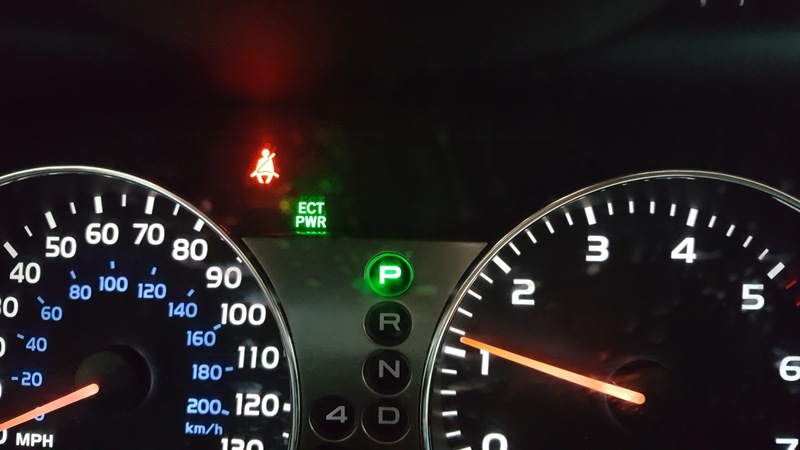 If you are in a situation where you are loosing grip on a wheel up front, in the back, or both, as long as you keep your RPMs up, the ATRAC will pulse the brakes on the slipping wheels and allow you to crawl out of the situation. Just started posting our ARB deluxe bull bar series on our 100 series Land Cruiser Overland Rig Build. Next week we'll post the install but in the meantime here is our selection and delivery/unboxing. It took us some time to pick the perfect bumper for our 100 series land cruiser. We cover some of the factors we considered like, approach angle, animal protection, weight, safety, and features like recovery points and jacking points. We let the kids know the bumper is on the way and unbox it. The arb deluxe bull bar is one beefy bumper. The kids normally go over the options with me before we pick something but we had to act on the deal so it's on the way. Brennan was hoping it was a snorkel and Steph is still very against the addition of a snorkel. Don't forget to check your freight deliveries for damage and note it on the bill of lading! Picking an awning for our 100 series land cruiser was one of the hardest choices we made. There were many options between ARB, Rhino-Rack Batwing, and the Alu-Cab Shadow Awn the price range goes from $300 to $1500. Going with the top end seemed an excessive decision but the ease of use pushed is to the top of the stack. We heard stories of people barely using the awning because of setup times and inability to move the vehicle. Not a problem with the shadow awn. In part one of the install of our Alu-Cab Shadow we mount the Awn awning brackets to our frontrunner slimline II roof rack. Things didn't go quite as planned but still an easy awning install. We got our awning and brackets from ok4wd.com ask for Chuck and let them know we sent you. He has a 100 series with this awning and was super helpful! This is part 2 of our Alu-Cab Shadow Awn Awning Installation on our 100 Series Land Cruiser Overland Rig. In this video we install the canvas case, install the mounting brackets, attach it to our frontrunner slimline 2 rack, and install the tensioning strap. We love this awning and it has been our best mod so far! We added some blue sea marine power stations in the rear and center of the land cruiser. This will keep our cameras, radios, phones, and tablets charged while we are traveling. It will also allow us to hook up lights and other accessories while in camp.